Earlier today, Microsoft began sending out notices to customers marking the end of Zune. 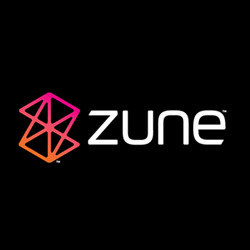 As early as November 22nd, 2013, Zune marketplace will no longer allow or support rental and purchases of content. We recently notified you that with the Fall 2013 release of the Xbox 360 update, Microsoft Points are being retired. This email is a confirmation that as part of this update, Zune Marketplace will no longer support rental and purchase of content, or browsing movies and TV shows, beginning as early as November 22, 2013. If you have a remaining Microsoft Points balance, you can transition your Microsoft account from Microsoft Points to local currency by initiating a purchase or redeeming a Microsoft Points card or code on your Xbox 360, or in the Video app or Music app on a Windows 8.1 tablet or PC. At that time, we’ll add to your account an amount of currency equal to or greater than the Xbox stores value of your Microsoft Points. Beginning as early as November 22, you can also transition your account to local currency by initiating a purchase or redeeming a Microsoft Points card on your Xbox One or at XboxVideo.com. For video, you can now rent and buy the latest blockbuster movies and TV shows using your local currency on Xbox Video. Xbox Video is available now on your Xbox 360, or Windows 8.1 and RT PCs and tablets. It will also be available on the web at XboxVideo.com and your Xbox One starting November 22, and on Windows Phone 8 as early as this holiday. And, the video content you’ve purchased through Zune Marketplace will be available to you on all of these Xbox Video stores. For music, you can purchase your favorite songs and albums, including the latest new releases, using your local currency on Windows 8.1 PCs and tablets. If you have further questions about your Microsoft account, please visit http://www.xbox.com/support. For more information on Xbox Video, please visit http://www.xbox.com/video. For more information on Xbox Music, please visit http://www.xbox.com/music. Written by: Hyde13 on November 13, 2013.